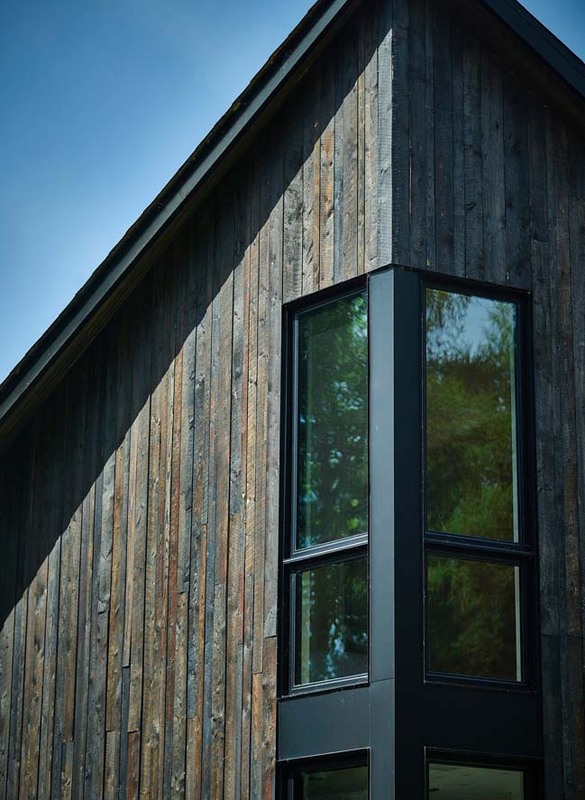 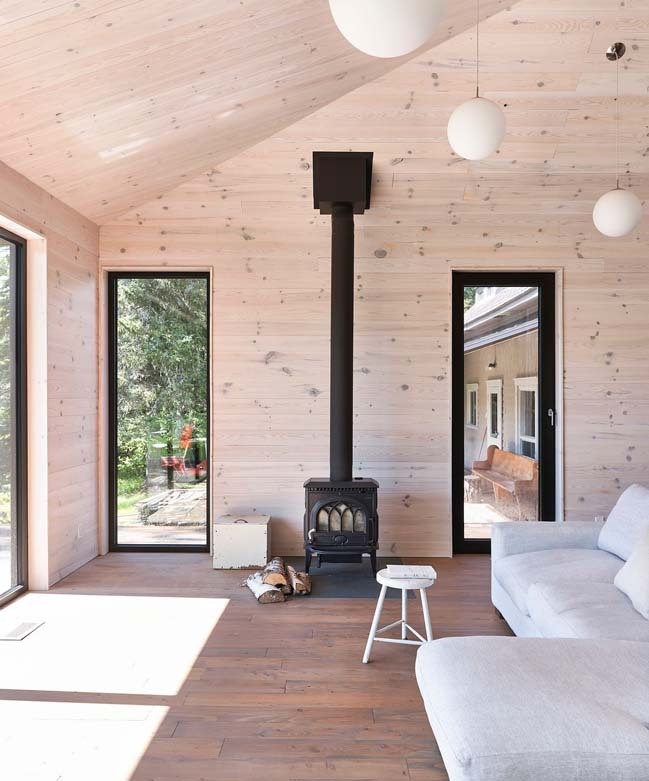 Designed by Anik Péloquin architecte. 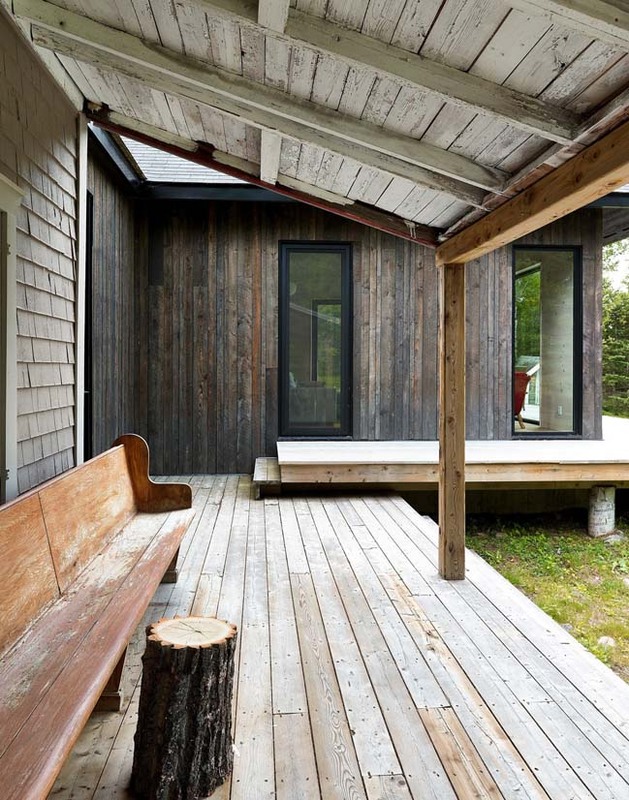 This project is a reflection on the integration of a new building into a natural setting. 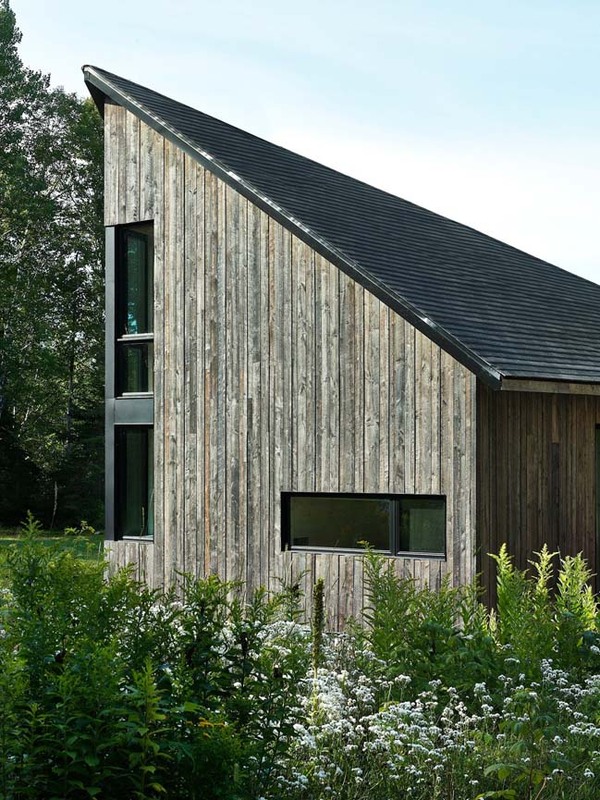 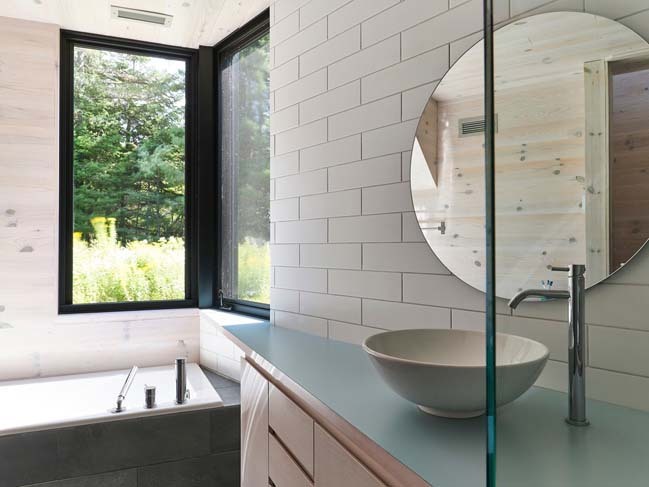 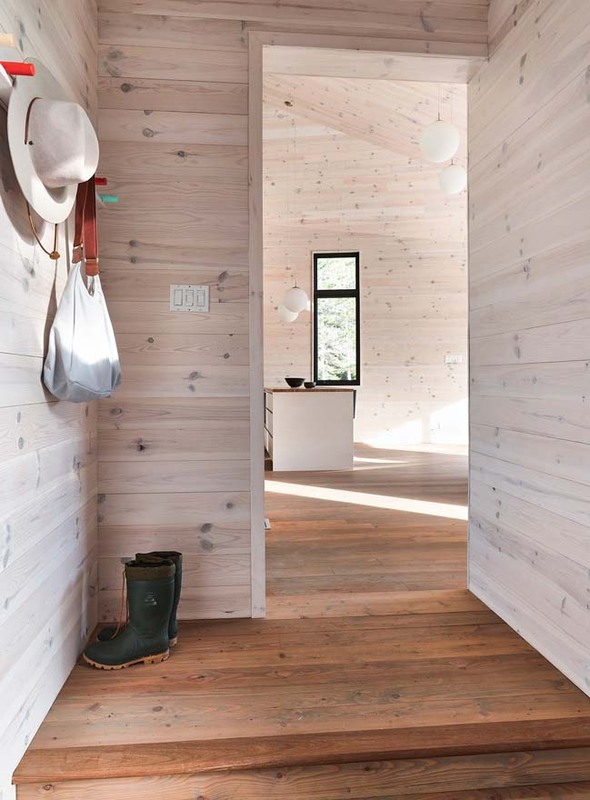 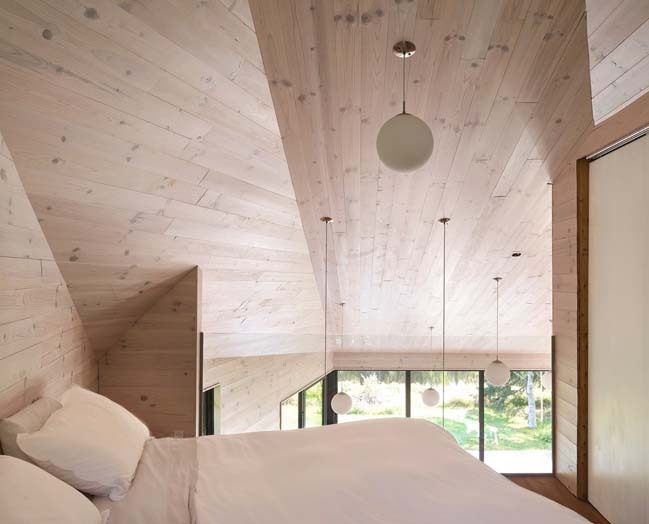 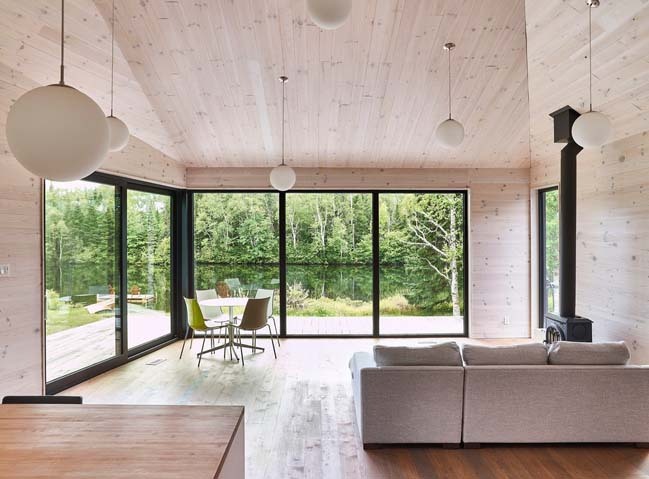 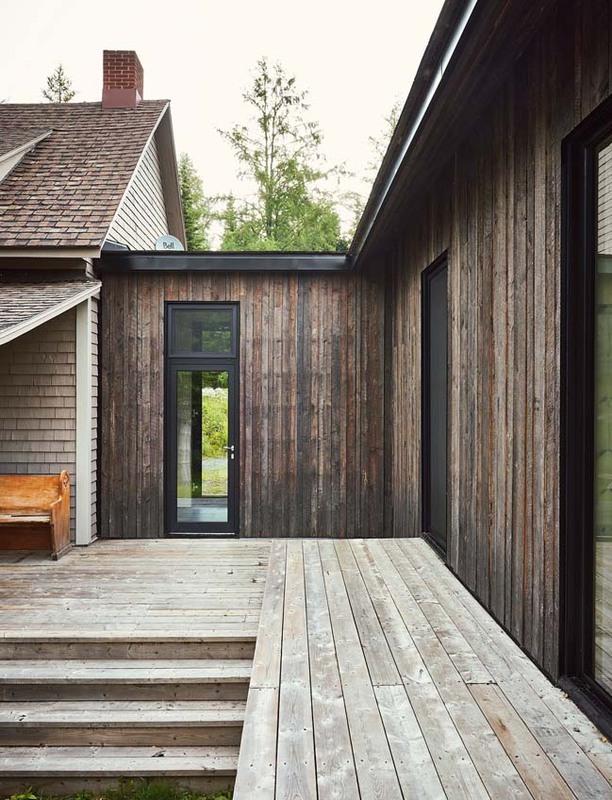 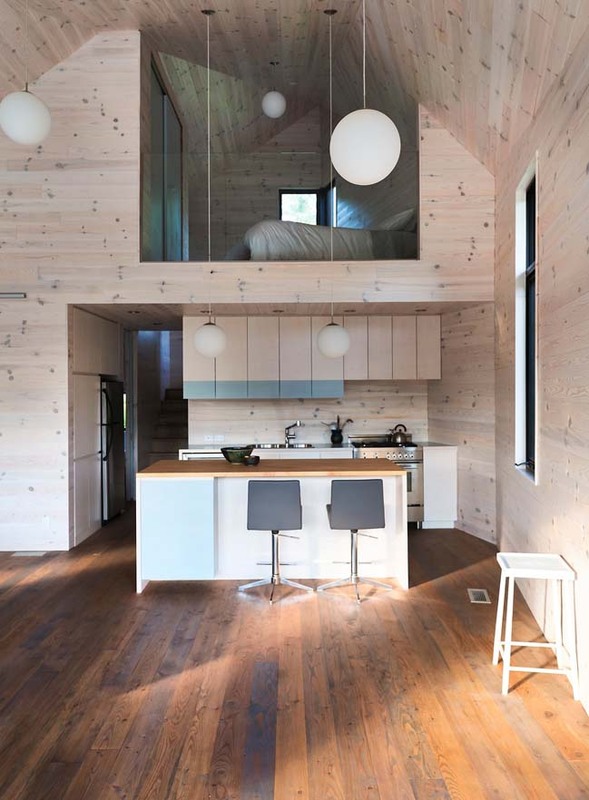 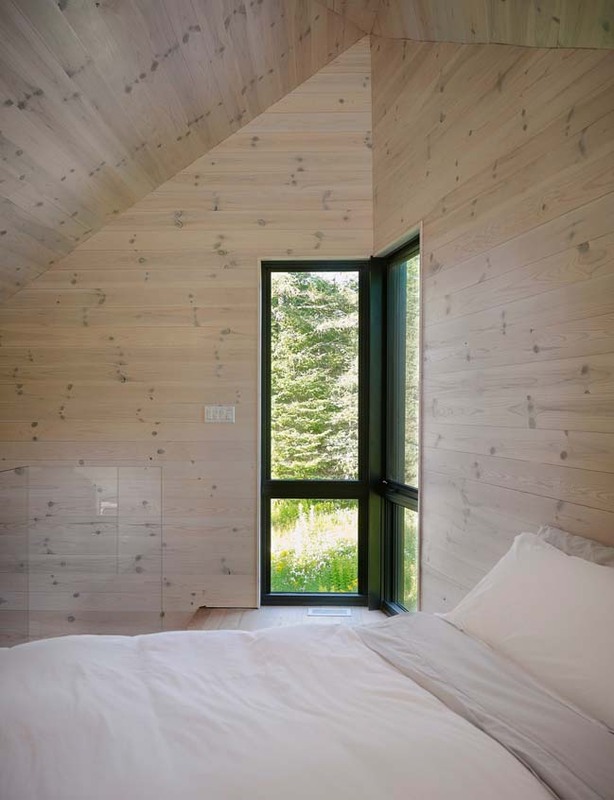 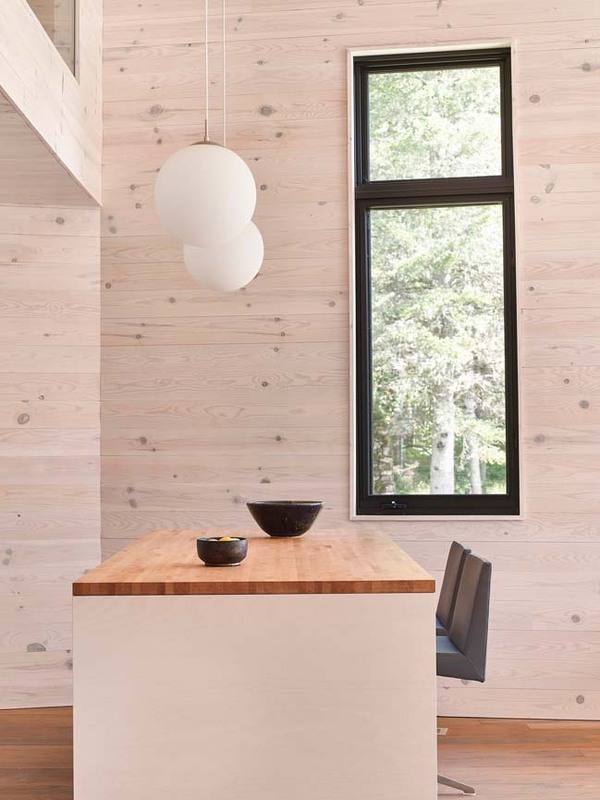 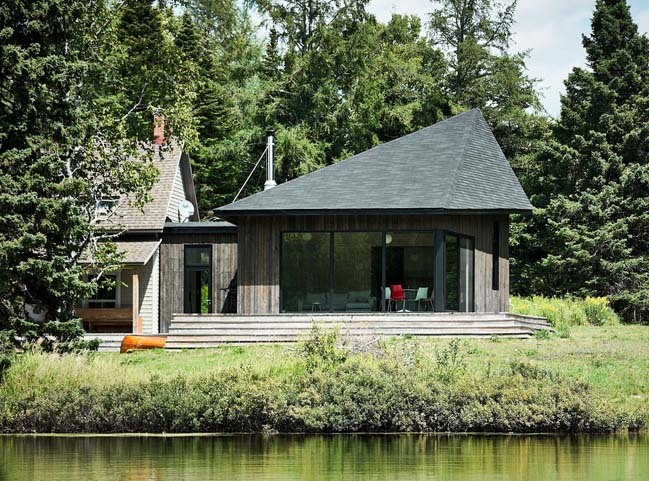 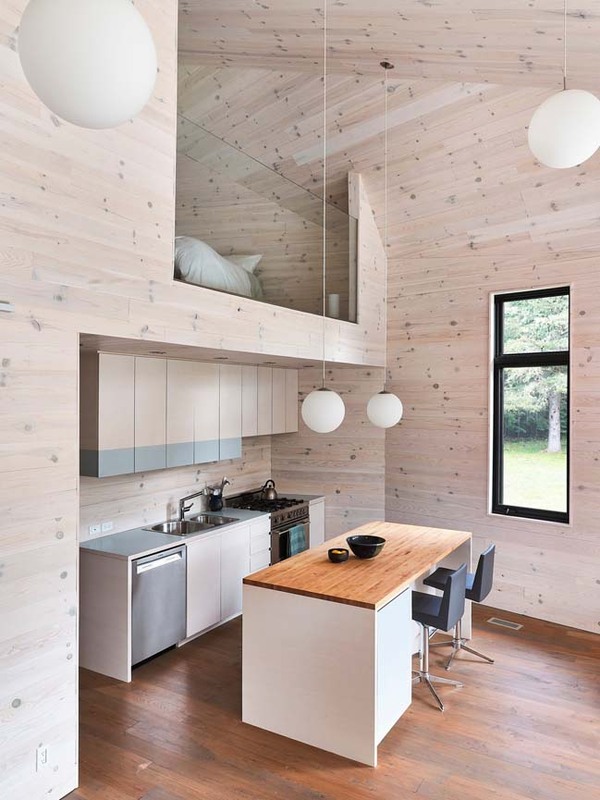 From the architects: The owners purchased a small house on a secluded lakeside lot in La Malbaie. 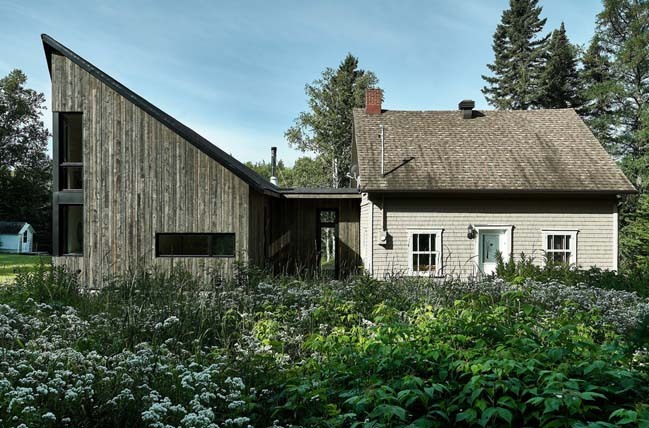 For its first three decades, the house was used as a hunting lodge, then it became the summer home for the Sisters of Charity. 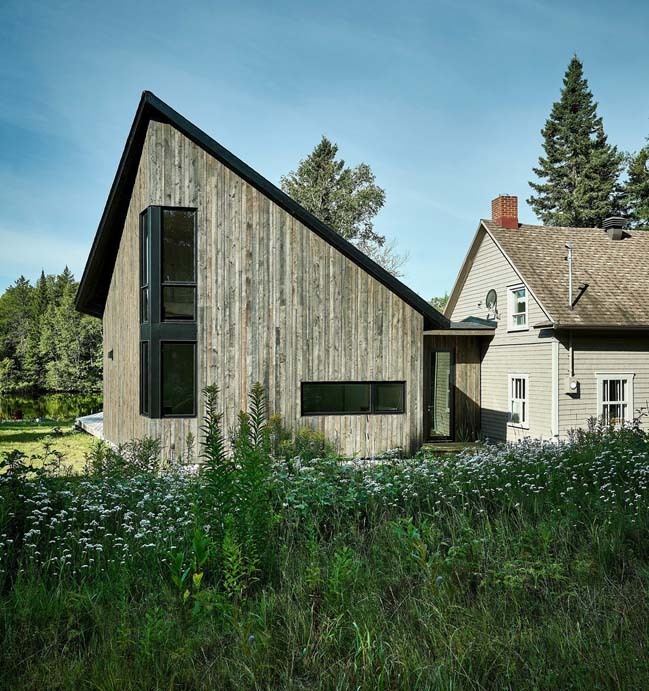 The urbanite owners lived there sporadically for six years to acclimate themselves to the natural setting and define their needs.